Bottomless or normal portafilters? Well, they are both the same just that the bottomless version has the spouts removed – showing the ‘naked’ bottom of the basket that holds the coffee. With this portafilter, you will be able to observe the entire extraction process, and thus diagnose any problems with shot extraction. So on your next trip to a cafe, take a look at the type of portafilter used for extracting your shot. The colour during extraction — A perfect shot should have an even, golden to reddish brown colour that starts to blonde (lighten in colour) around 25 to 30 seconds. 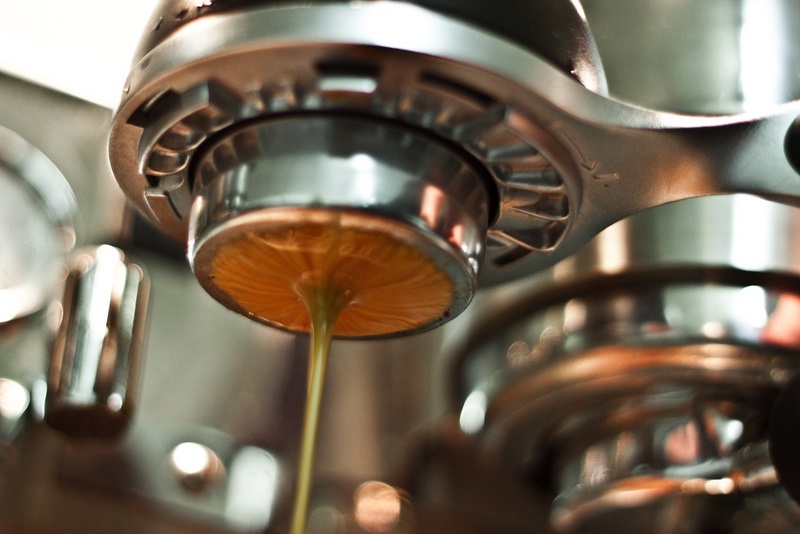 Extraction should start evenly from all corners and eventually congregate in the middle into a nice creamy flow. If otherwise, this could indicate uneven tamping. Hope this brings new insights as you enjoy your cafe hopping and lepak experience! hi! do you know where i might be able to get one for an expobar e61 leva? Hey Mitchell, sorry about it. Not too sure regarding this.